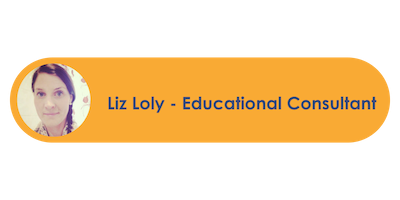 It is with great pleasure to introduce Communications and Education Consultant, Liz Loly to you as a guest writer on The Studying With Dyslexia Blog. A trained teacher with specific training in Special Educational Needs, Liz is also a mother of Josh who is dyslexic. In this article Liz will share some insights of Josh and her journey together in helping him to thrive at school. I’m pleased to say, my son is delightfully dyslexic and, most of the time, we really do see the positives of this. It doesn’t mean it’s always been easy and there have certainly been plenty of frustrations for him. My keen interest in dyslexia started 8 years before my son was born. I vividly remember my first parents’ evening as a teacher when the parents of a 7-year-old boy told me their son cried most evenings because he thought he was stupid. The sadness of this boy and the concept of such a bright, amazing boy thinking he was stupid, had a big impact on me. Fast forward 8 years and I was rewarded with my own son, Josh, who had a different way of thinking that made certain aspects of life more difficult. He was late speaking; didn’t remember nursery rhymes and songs; found learning sequences like the alphabet and days of the week very difficult and started losing his confidence and developing a low self esteem once he was at school and became aware of his difficulties with words. I was fortunate enough to already have some knowledge of dyslexia; know that it was evident on both sides of the family and therefore addressed his challenges with the school, raising the question of dyslexia. I also put myself through dyslexia training with the British Dyslexia Association and tried to support my son educationally and emotionally. 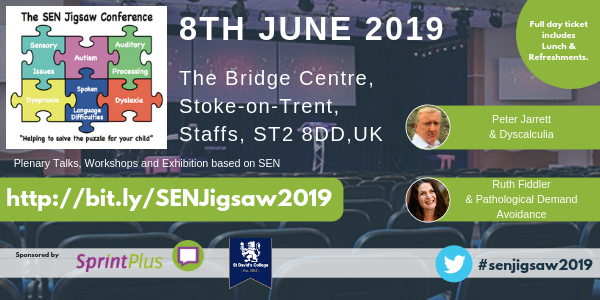 Parents attend this conference to find out more about Special Educational Needs. Click here to find out more. When I talk about the different things we did at home to support Josh, I am conscious it may sound like the poor boy had to do hours of extra work and was never allowed to play! I was very adamant that he needed time to relax and do the things he loved and excelled at when he was at home, especially because he put so much effort into his work all day at school that he was often exhausted when he came home. Therefore, everything we did was about small things with a big impact. Trying to get him to read regularly required a lot of patience, which often didn’t come easy when we were tired and just wanted to get two young children to bed! We found additional ways to expose him to new vocabulary and writing concepts to help develop his literacy skills by reading a variety of books to him and introducing him to audio books. We also tried reading at different times of the day, rather than leaving it until just before bedtime. At the age of 7 Josh started Toe By Toe, a structured reading manual designed for parents and professionals to use with children. He only did a few minutes each day, but we were very consistent with doing it almost every day to build up his understanding and confidence. I believe Toe By Toe helped him develop basic skills to understand words and how they can be built up and broken down. Josh is someone who likes routine and structure, so the style of Toe By Toe was ideal for him. I also discovered Touch-type Read and Spell (TTRS), a respected typing program that supports literacy. TTRS teaches computer keyboard skills in a unique dyslexia-friendly way, and by following a very structured literacy program from word lists of the textbook Alpha to Omega, by Dr Beve Horsby, Frula Shear and Julie Pool which is based on the work of Orton and Gillingham. It was so good for Josh to be learning a skill that would help him throughout his life and something different to the usual reading and writing focus. By doing 5 – 10 minutes per day, 3 or 4 times per week, Josh is now able to touch-type, and the program has had a massive impact (almost subconsciously) on his reading and spelling. Josh has gone from a reading age below his chronological age to starting secondary school with a reading age two years ahead of his actual age! I am so passionate, as a parent and education professional, about every child having the opportunity to reach their own full potential and the importance of them having a positive image of themselves, whilst sometimes feeling like a square peg in a round hole. If I can be of any help and offer support from my own experiences, please feel free to get in touch.